Prayerwalking involves growing with a heightened awareness of what God desires or is doing in people’s lives. We don’t have to guess about what kind of relationship God desires or the transforming goodness of the gospel. The Bible reveals God’s love and purpose. That’s why prayerwalking is much easier when we pray with scripture at our fingertips. WayMakers has produced tools designed to help prayerwalking teams. Copy this two-page PDF prayerwalking guide to get started. Every one of the “Ways to Pray” series has proven helpful for prayerwalkers. Many of the issues of FreshPrayer can give you insight for praying on-site. 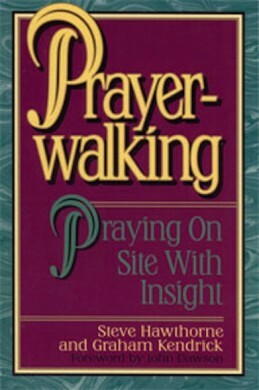 Find more great ideas in the definitive book on the subject: Prayerwalking: Praying On-Site with Insight.